Can Serie A Hopefuls Land European Silverware? A tough first half of the season has seen Italy’s European hopefuls whittled down to just five. Juventus and Roma are flying the flag in the Champions League, with Lazio, Napoli and Inter Milan in the Europa. Can they continue Serie A’s resurgence by making a push for a trophy in Europe this season? It’s a huge hurdle for Italian clubs to cross. It was 2010 when Serie A last had a Champions League winner, while no Italian side has won the Europa League this century. With the European campaign about to return from a winter hiatus, we’re analysing the chances of each side. We’re looking at their next opponents, with the latest betting odds for each Italian side across both competitions. 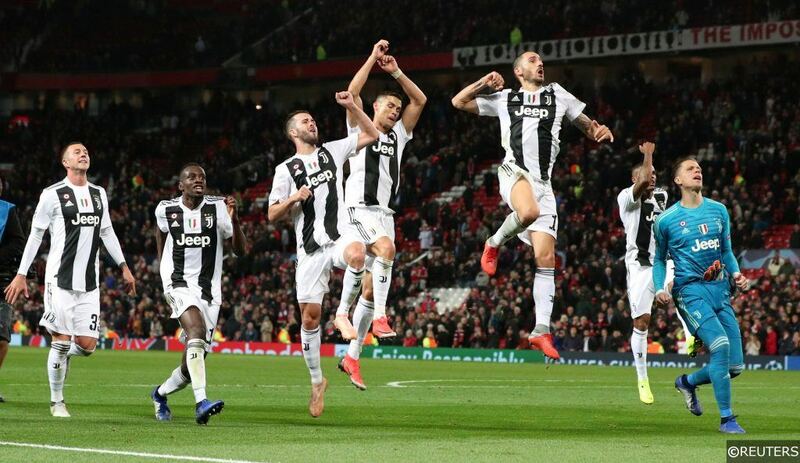 If anyone is going to land European silverware this season for Italy, then it’s likely to be Juventus. The Italian champions have made the European Cup their main aim in recent years. While their treble dreams may be gone, they will be out to secure the biggest prize of all, given that the Old Lady last won this trophy back in the mid-90s. They now have built the perfect side to reclaim top spot in Europe, with some impressive depth to call upon. They’ve been handed a test first up, as they’re going up against Atletico Madrid in the last 16. While that’s not the biggest name they could have landed, it is one of the more awkward games in European football. With a tough game ahead in the next round, Juventus have drifted a little in the fight for the European Cup. They are now out at 13/2 with bet365, sitting just behind Man City and Barcelona. They’re being backed to progress and make a push for the latter stages, but Juve will accept nothing short of glory this time around. While Juventus are frontrunners in the Champions League, Italy’s other side aren’t quite so prominent. However, of the pair, it was Roma who made the last four last time around. 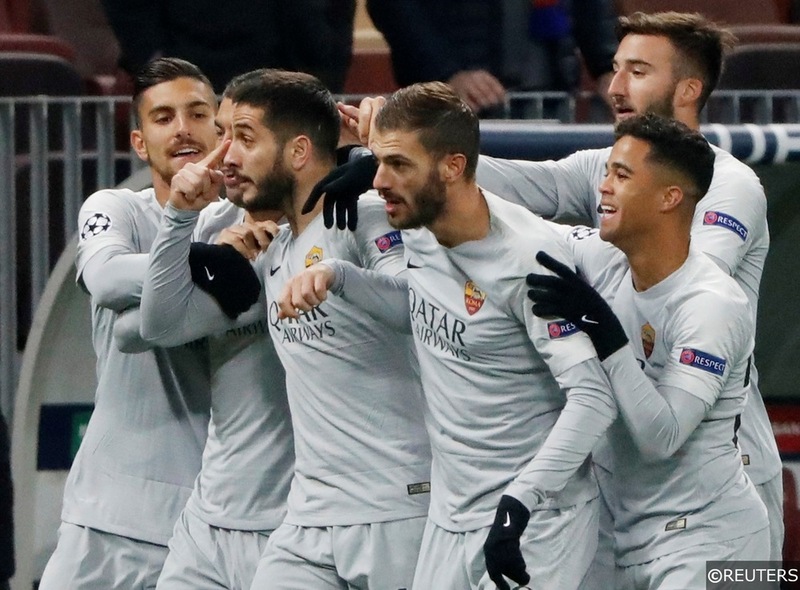 They lost to Liverpool in last season’s semi-finals, and the Giallorossi are coming back into Europe after a fine start to 2019 in Serie A. They are big outsiders as the Champions League returns – as Roma sit out at 100/1 with BetVictor to go all the way. Their surprise run last season will be tough to repeat, but they do have a winnable tie ahead after landing Porto in the next round. Eusebio Di Francesco’s side aren’t likely to go all the way, but they are capable of making a run in the competition. 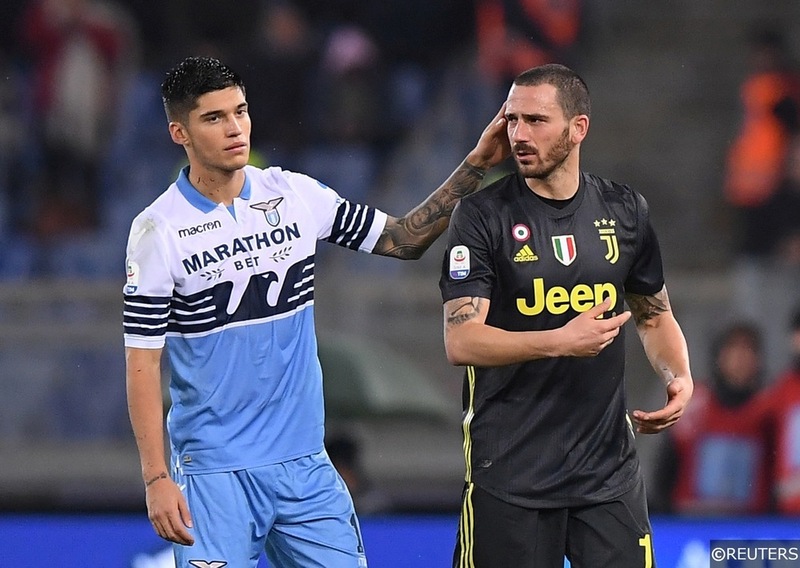 Italy has three sides fighting for Europa League glory – two who dropped down from the Champions League in the winter. That includes Napoli, one of the most impressive sides in the group stage. They pushed last season’s finalists Liverpool and Ligue 1 champions PSG in the fight for the top two. 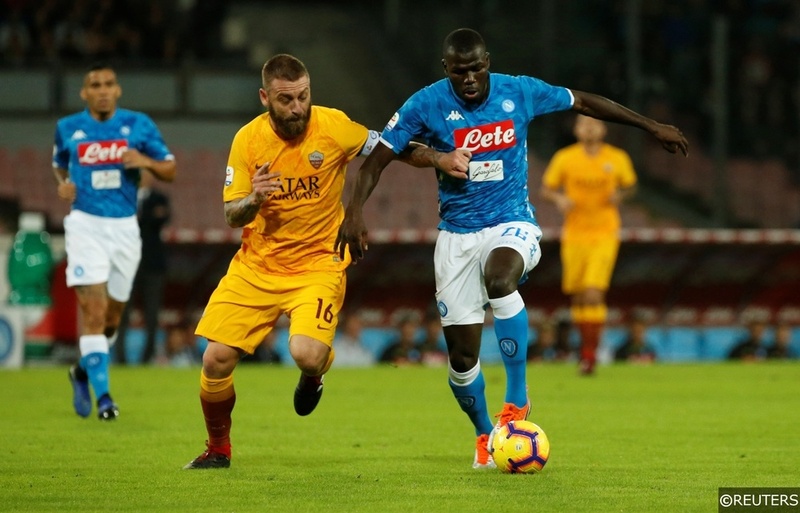 It was a much stronger European display than they managed last year under Maurizio Sarri. Carlo Ancelotti has brought a bit of European know-how with him to Naples. He has got them on course in Serie A, they’re cruising to second place as things stand. After a shock exit to AC Milan in the cup, the Europa League is their sole chance of landing silverware this season. We see them putting a lot of stock in this competition, as do the bookies. Premier League giants Chelsea and Arsenal have been made the favourites, but they’re followed by Napoli. Ancelotti’s side are priced at 7/1 with Coral to go all the way. They’re expected to see off FC Zurich in the last 32, and they aren’t likely to stop there. 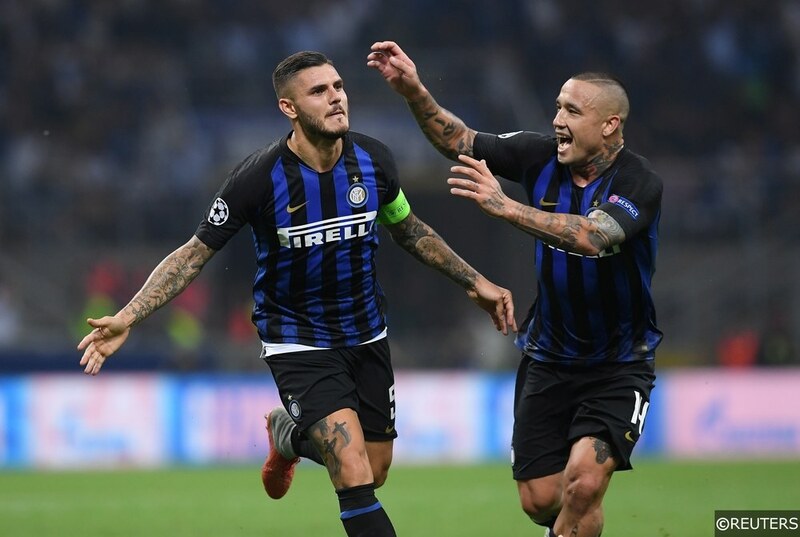 Inter Milan shot themselves in the foot during their Champions League campaign – crashing out after a 1-1 draw at home to PSV. That slip cost them a last 16 spot, now they’re aiming to secure glory in the Europa League. Like Napoli, they are already out of the Coppa Italia. With manager Luciano Spalletti under pressure to claim a trophy, they should take this competition seriously. Inter showed some big European displays – especially at home to Tottenham and Barcelona. They’ve made big statements in the league, so they should have the quality to push into the latter stages of this competition. Part of their aim in the Champions League this term was to restore their status in Europe, something they can still do in the Europa League. Inter are priced up at 10/1 with bet365 to secure glory in this competition. It would be a huge boost for under-fire boss Spalletti. Given the quality they have throughout their side, there’s little excuse for failure for them in Europe’s second-tier competition. Lazio are the only Italian side who are still in three competitions this term. However, will that last much longer? They are going up against Europa League specialists Sevilla in the next round, which is set to be a tricky clash. The Aquile didn’t exactly convince during their group stage campaign in this competition, so an early exit could be on the cards for them. Lazio are meeting a Sevilla side who are fifth favourites to win this competition. Meanwhile, the Aquile sit out at 25/1 with Paddy Power to go all the way and lift this trophy. They’ve not got the greatest European record, while their awful record in big games could work against them. Given that sneaking back into the top four is their main goal, we struggle to see Lazio landing glory in the Europa League. Categories: Betting Odds, Blog, Champions League, Europa League, and Football. Tags: Champions League, Europa League, Inter Milan, Italy, Italy Betting Tips, Juventus, Lazio, Napoli, and Roma. Team Tag: Inter Milan, juventus, Lazio, Napoli, and Roma. League: Italian Serie A, UEFA Champions League, and UEFA Europa League. Sports: Football.